New to the collection. 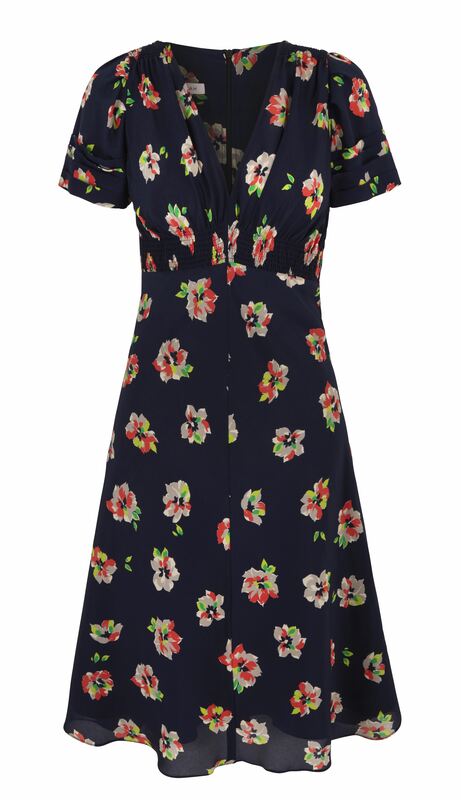 The Butler floral is a beautifully painted silk printed tea dress dashed with bright tropical colour. The fresh inky navy background is popped with the brightest coral, lime and grounded with pearl grey and ivory. The tea dresses are our signature British style. The 1930’s influenced style is flattering and versatile for day through to event. The silk crepe-de-chine is exclusive. We hand paint the florals in our design studio and produce the prints in Italy on the finest cloth with the most immaculate finishing. The tea dresses are made invidually by a tailor in London.